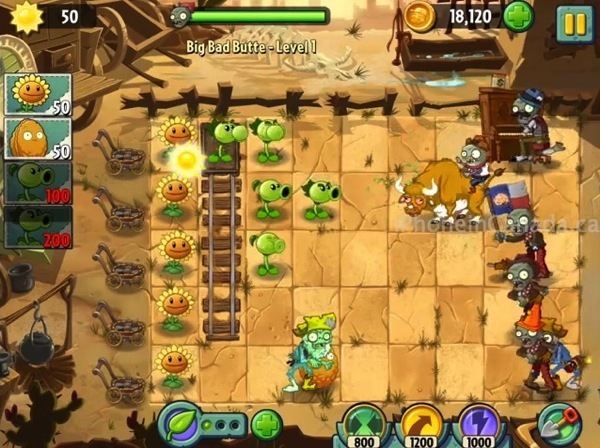 Plants vs. Zombies 2 was released in Australia and New Zealand in July and recently updated on August 1. It will soon come to North America but PopCap Games has not released a date yet, despite numerous delays. We managed to get our hands on the game and have taken time to play it and review it for you! The new game will release based on the freemium model, supported by in-app purchases. Below is my video review of the game, which follows up on the original smash hit. Are you excited for Plants vs. Zombies 2? Don’t forget to subscribe to my YouTube channel so you don’t miss any of my future video updates!